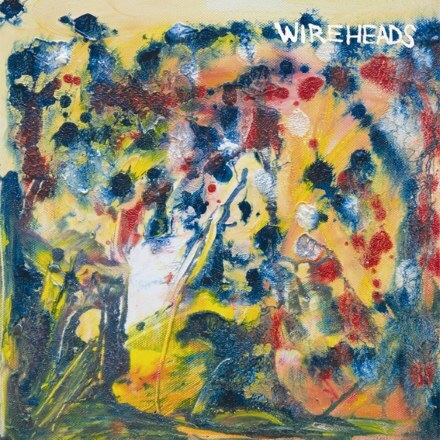 The Late Great Wireheads is an album of delirium. Heatstroke and intoxication mix and create a dizzying atmosphere, reckless and unhinged. I said it once before and I will say it again: Wireheads seem to embody heat. It’s not a blast from the sun kind of heat, more a slow broil. The music is teased and drawn out, with the violin/viola playing on that lengthy warble even further. Though undeniably full of determined energy, the album plays like the band are recording laconically in the heat; sweat dripping off everything onto everything else. The raspy, almost unintelligible vocals create and element of blue-collar menace, of angry rants after a few too many and a simmering distaste for others. Weekends wasted with hangovers, weeks wasted with work. I sensed heartache and anger, feelings left to stew. It’s all coming out on record in a torrent of guttural growls and strained peaks. This album sounds like paranoia of uncertain futures, washed away with beer by the bottle and left to melt in the sun. I love it. The Late Great Wireheads is out now on Format Records.